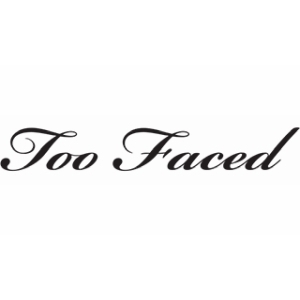 Rebelling against a cosmetics industry that has taken itself too seriously, Too Faced has grown from an independent startup into a symbol of unapologetic glamour and femininity through innovative makeup with cruelty-free values that support and encourage their worldwide fans. When Too Faced found When Metric Theory, they brought intense brand loyalty from past purchasers and were seeking innovative new customer acquisition strategies to pump even more fuel into their already explosive growth. With limited resources, finding ways to present their magnetic brands and messaging to a highly targeted prospective customer base was imperative. "We've been working with Metric Theory since the beginning of 2014. They've really been an integral part of the growth we've seen within our dot-com business. In that time, we’ve been cleaning up accounts and getting more granular in the way we bid, targeting our keywords and driving traffic to the site. It's evident, in regard to the performance we've seen year over year within our paid search program, we're definitely moving in the right direction." Metric Theory widened the bottom of the funnel through opportunities in Google & Bing Shopping ads, supported by full-service shopping feed management to present more Too Faced products to the right audience when they were ready to buy. The team also identified digital video as the perfect avenue to introduce Too Faced to new customers and to re-engage prospects who’d shown previous interest. Metric Theory uncovered new potential in device specific campaigns, as well as ways to more effectively target search traffic with specific ads, allowing more opportunities for the perfect bid on every search to max out reach and performance simultaneously. Shopping ad success is driven by a healthy and well-optimized data feed. Metric Theory feed management achieved more exposure for each product category, delivered on an intricate and shifting promotional calendar, and tested product titles to make listings more relevant. Metric Theory found new Too Faced customers by targeting viewers who were consuming content from Too Faced’s major retail partners, which led to a measurable increase in both brand recall and purchase intent. Remarketing on YouTube helped drive both first-time buyers and repeat purchasers by identifying audiences showing strong buying signals. With these strategies and more, Metric Theory catapulted the size of Too Faced’s PPC footprint to 10x what it was coming into the partnership, with an astonishing 821% increase in revenue.